The Punjab Government appointed Bharat Inder Singh Chahal as advisor to Chief Minister Amarinder Singh. A close confidant of Amarinder Singh, Chahal, who will hold the rank of a Minister of State, has previously served as the his media advisor during his previous tenure as chief minister from 2002-2007 and was seen as the most powerful person around him. After being defeated in the 2007 election, Amarinder and Chahal faced vigilance cases registered by Parkash Singh Badal-led SAD government. An old associate of Amarinder’s, Chahal would again be seen in the important role in the new Congress government. Raveen Thukral, a senior journalist who steered Amarinder’s media campaign in the recent assembly polls, has also been appointed a media advisor in the rank of Minister of State (MoS). He has been part of Amarinder’s core team since taking over as his media strategist in October 2016. He will take over his new duties on Wednesday. Besides, Khubi Ram, a retired IG of Punjab Police who has been the chief minsiter’s security liaison officer has been appointed security advisor to the chief minister. He will hold the rank of an ADGP. 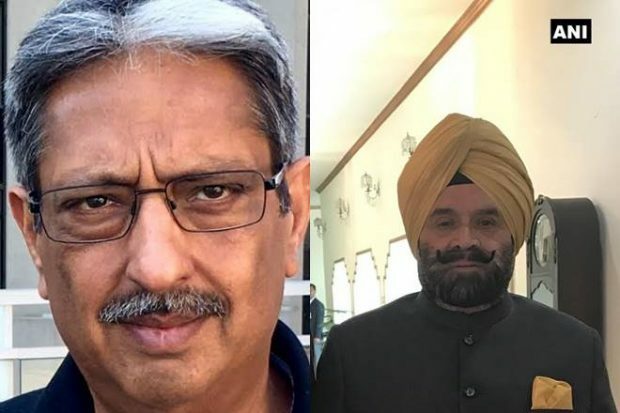 Other key appointments are Capt Sandeep Sandhu, Maj Amardeep Singh and Karanpal Sekhon, all of who have been appointed as OSDs.